It was an honour for Chilterns to be asked to work in partnership again with Thetford Town Council, for the annual Christmas Lights 'switch on' and Winter Wonderland event last weekend. Andrew Overman, our Senior Manager from Thetford office, was invited to join the Mayor & Mayoress at a reception in Kings House, to judge the colouring competition. 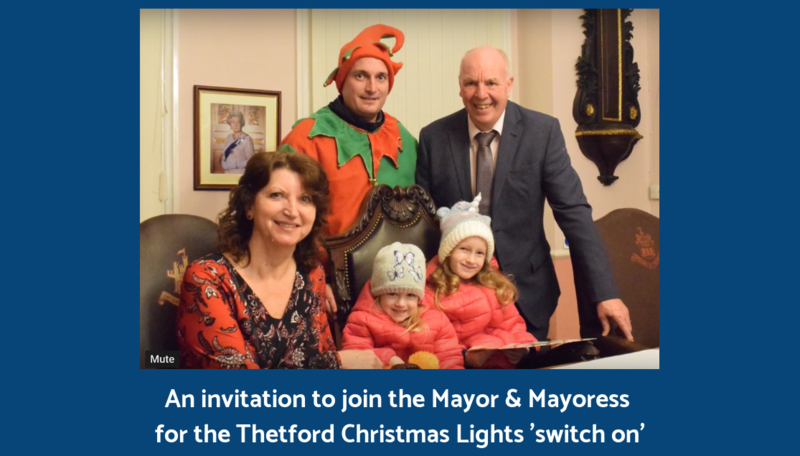 Competition between the entries was so fierce that the Mayor decided to allow all children to turn on the lights together, a gesture that was met with much excitement. Kings Gardens were fully adorned with festive lights and marques for the free entertainment, including the theatre workshop and creation station. Father Christmas' grotto was a brilliant hit with the children too. If you missed it, the magic was captured here for you.